Plus a small-scale demo of its new battery technology. 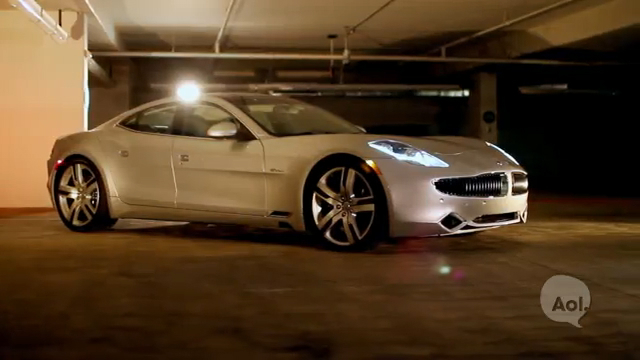 Henrik Fisker runs a new company called Fisker Inc., founded after Fisker Automotive crumbled and the Karma electric sedan went to China to be resurrected as the Revero made by a company called Karma. Any new company needs a new product, and Fisker has it: the EMotion electric sedan, which will bring its 400-mile-plus range, four butterfly doors, and a tiny example of its "revolutionary" battery to next week's Consumer Electronics Show in Las Vegas. We have about enough specs on the EMotion to fill a Post-It note, but we're told that the range comes courtesy of a whopping 143-kWh lithium-ion battery that can be re-juiced with a 125-mile range in nine minutes. Fisker Inc. had formed a joint venture with Nanotech to produce graphene batteries, but the JV fell apart. Fisker says the replacement li-ion batteries sourced from LG Chem employ proprietary module packaging to create "probably... the most energy dense battery pack in the world." The company won't be ready to divulge all of its battery and cooling secrets at CES, however, reps do plan to bring a cellphone-sized version to demonstrate the possibilities. Other innovations in development are an automated, hands-free charging connector. As for those doors, they take us back to the Savage Rivale Landyacht GTS, being butterfly portals all around, rear-hinged for the rear set. Not sure how practical they'll be, but they make the all-wheel drive EMotion look like nothing else - something the EMotion already didn't need to worry about. Fisker says the sedan's interior will be more spacious those of its competitors, with rear legroom exceeding that of "many full-size luxury sedans." Every seat gets viewing screens, and top speed rings in at 161 miles per hour. Fisker expects production to begin in 2019 somewhere in the US, and set the base price at $129,000. The order books are open now, with a $2,000 deposit securing your reservation.